Kenneth Weatherwax is a founding and co-Managing Partner of Lowenstein & Weatherwax LLP. A Princeton-trained engineer and Irell & Manella-trained attorney, Mr. Weatherwax is a nationally recognized patent litigator in proceedings before the patent office and the courts, including active matters ranging from the United States Patent Trial and Appeal Board (“PTAB”) to the United States Supreme Court. Mr. Weatherwax’s practice focuses on sophisticated patent litigations in all phases from pre-filing through appeal. His successful post-grant practice before the USPTO’s PTAB, in inter partes review (“IPR”), covered business method patent (“CBM”) review, and inter partes reexamination proceedings, is one of the most active in the country and has achieved excellent results for his clients in these exceptionally difficult forums. 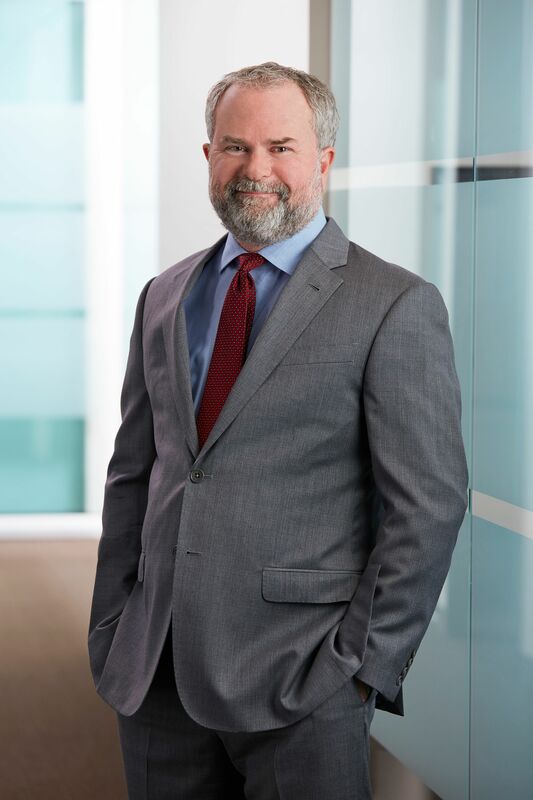 He has been recognized by Docket Navigator as one of the “top attorneys in the PTAB,” and his firm Lowenstein & Weatherwax LLP was recognized by Patexia in 2017 as achieving the third highest historical success rate among IPR counsel who regularly represent patent owners. Mr. Weatherwax’s appellate practice includes, at the highest level, the United States Supreme Court, such as the recent 2013 patent licensing matter Kimble v. Marvel Entertainment, in which he helped lead the legal team that secured a grant of certiorari over the government’s opposition. His patent practice also extends to pre-litigation intellectual property counseling, licensing, and patent interferences. Mr. Weatherwax has represented clients before virtually all types of patent tribunals, including district courts, the United States Court of Appeals for the Federal Circuit, the United States Supreme Court, the Patent and Trademark Office, the International Trade Commission, and international arbitral tribunals, in trials and appeals of highly complex matters involving a full spectrum of patent and license enforcement, defense, acquisition, and valuation. His patent litigation and counseling has encompassed an exceptionally wide range of technologies including semiconductor packaging and microelectronics, DRAM memory, electronics power and battery management, computer security, mobile device networking, implantable heart repair and monitoring, subcutaneous drug delivery, polymerase nucleic acid quantitation, recombinant DNA preparation, smart phone and gesture user interfaces, LAN protocols and filters, video game controllers and distribution channels, audio reproduction and amplifiers, telephone multiplexing, user customization software, automated retail processing, point-of-sale and enterprise management software, and metal coating and finishing. In addition to his client practice, Mr. Weatherwax regularly writes on intellectual property topics. His articles have appeared in publications such as the Journal of the Patent & Trademark Office Society, the Intellectual Property & Technology Law Journal, the Los Angeles Daily Journal, and IPEG. He also co-wrote Chapter 3 of Patent Litigation (Laurence Pretty, 1st ed. ), the leading treatise on patent litigation and trial strategy. Mr. Weatherwax has been selected as a “Super Lawyer” in Southern California by Los Angeles Magazine for each of the last several years. Mr. Weatherwax practiced for many years at the famed patent and general litigation firm of Irell & Manella, LLP in Los Angeles. He served as law clerk to the Honorable Judge Robert Beezer of the United States Court of Appeals for the Ninth Circuit. Mr. Weatherwax received his juris doctor degree from the University of California-Davis Martin Luther King, Jr. School of Law, where he received the honor of the Order of the Coif. Before beginning his legal career, Mr. Weatherwax received a bachelor’s degree in mechanical engineering from Princeton University and practiced for six years as an engineer performing work for public utilities, private energy sellers, and state and local regulatory commissions. As an engineer, his work included price and load forecasting, need and risk assessment of energy generation and transmission, and impact evaluations of green energy technology such as leading-edge reduced-emission vehicle initiatives. PTAB Post-Grant Matters – Represented numerous clients in over 70 IPR and CBM post-grant matters before PTAB, achieving particularly successful results for patent owners, such as dismissal of numerous petitions on novel legal theories and denial of proposed grounds of review and complete denials of review for claims being asserted in concurrent litigation. Tessera, Inc. v. Micron Technology, Inc., et al. – Represented Tessera in a suit in the Eastern District of Texas involving patent infringement claims concerning semiconductor packaging technology. The suit was resolved by a settlement entitling Tessera to $80 million and significant future royalties. Tessera, Inc. v. Amkor Technology, Inc. – Represented Tessera in an arbitration which resulted in a $64 million award for Tessera based on violation of a patent license agreement. Tessera, Inc. v. United Test and Assembly Center Ltd. – Represented Tessera in a breach of contract action. The suit resulted in a settlement entitling Tessera to $15 million and future royalties. In the Matter of Certain Semiconductor Chips with Minimized Chip Package Size and Products Containing Same (II) – Represented Tessera, Inc. as complainant in a patent enforcement action before the United States International Trade Commission, resulting in a finding of infringement and validity, and issuance of exclusion and cease-and-desist orders barring infringing products from importation or sale in the United States. On appeal, the United States Court of Appeals for the Federal Circuit affirmed the judgment in all respects, and the United States Supreme Court denied certiorari. Netcraft Corp. v. eBay Inc. and PayPal Inc. – Represented eBay Inc. and PayPal Inc. in a patent infringement case, resulting in a summary judgment of non-infringement. On appeal, the United States Court of Appeals for the Federal Circuit affirmed the judgment. Unova, Inc. v. Hewlett-Packard Co. – Represented Hewlett-Packard in a patent infringement case involving smart battery technology, resulting in summary judgment before trial declaring one asserted patent invalid. The case then concluded in a confidential settlement and dismissal of all claims.